The Mont Blanc describes itself as being 'full of charm' and AlpineBooker can confirm it is! The rooms/suites are decorated with luxurious fabrics, Alpine wood, furry blankets and the latest equipment. The hotel has 38 rooms/suites divided into 5 different categories each with individual design and luxury standards and level. The hotel has a well know restaurant called 'Les Enfants Terribles', a chic bistro with its elegant and laidback ambiance where you can taste the great classics of French cuisine and new exceptional dishes. The restaurant is popular with hotel guests and non hotel guests therefore we advise you to make reservations on time. 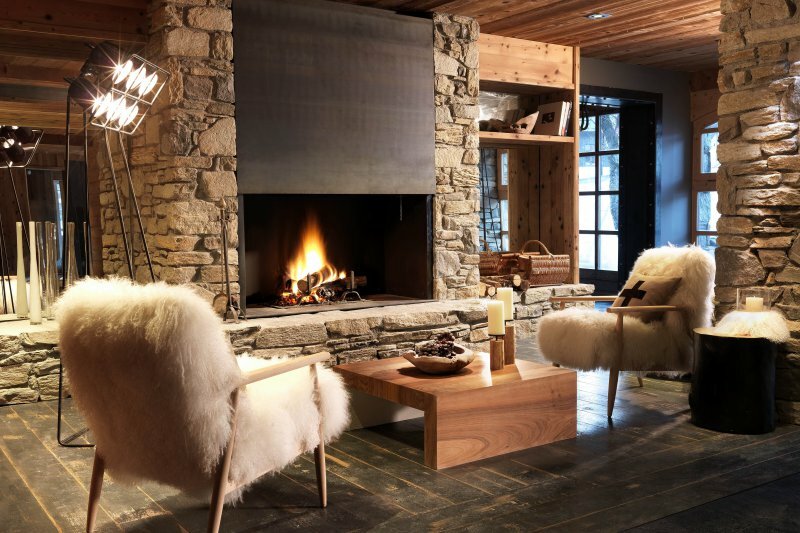 The Pure Altitude Spa is pure pampering right in the heart of Megeve. Escape the world for a while by taking one of the many treatments the Spa Menu offers or hit the Sauna, Jacuzzi, Indoor swimming pool or Relaxation room. The hotelbar/lounge is called Les Georges and it's the perfect hide out for afternoon drinks and bites. 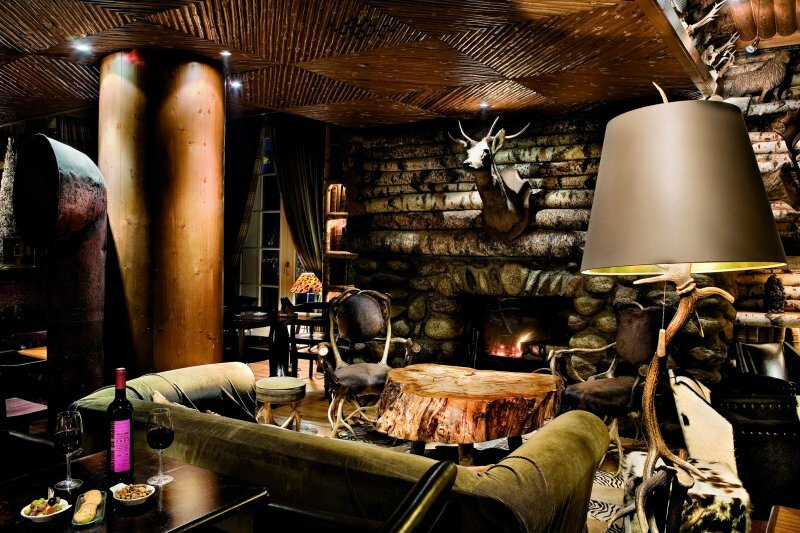 The lobby and bar area carry that typical Alpine chic vibe. The comfortable seats and sofa's, luscious fabrics and extensive drink- bites- and wine menu make nu never want to leave the hotel. The Spa works with an excellent line of beauty products by Pure Altitude, This brand has Edelweiss as a key ingredient and is known to be one of the best organic spa products on the market. Of course we have tested some of these products for you and we can confirm we became even prettier and more relaxed than we already are. From 6 p.m. the Georges transforms into a champagne bar and offers a selection of the finest champagnes! Before or even after that you can enjoy delicate pastries and exceptional hot chocolates and teas. The hotel comes with an exceptional concierge service that is here to handle your requests and demands and to make sure you will get the best possible treatment and services even outside the hotel. 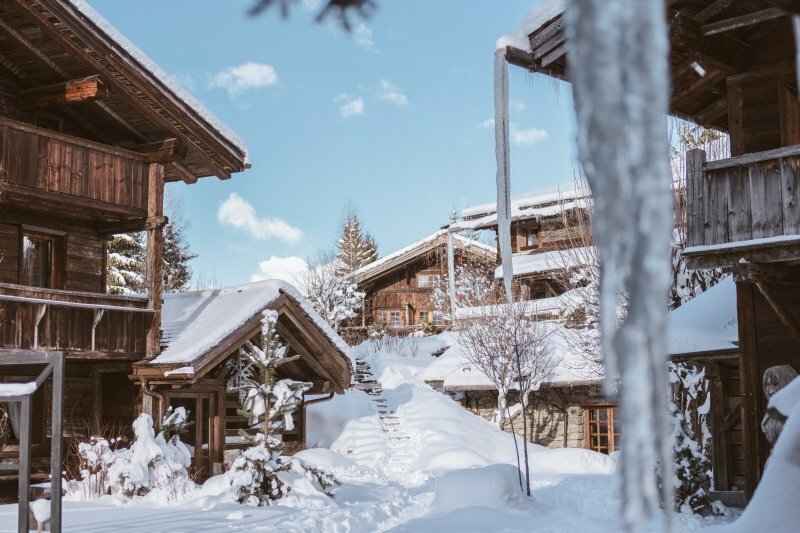 Within the luxurious hotel environment of Megeve it can be hard to outperform other hotels but Le Lodge park is definitely one from another category.